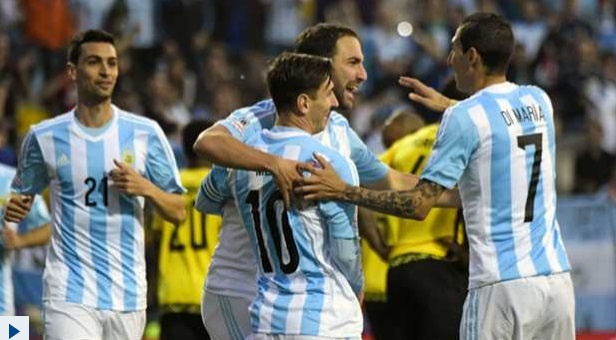 As the 2015 Copa America moved into the knockout stages this week I couldn't help but be startled by the quality of opposition that Argentina will potentially come up against if they are to have any chance in lifting the trophy. 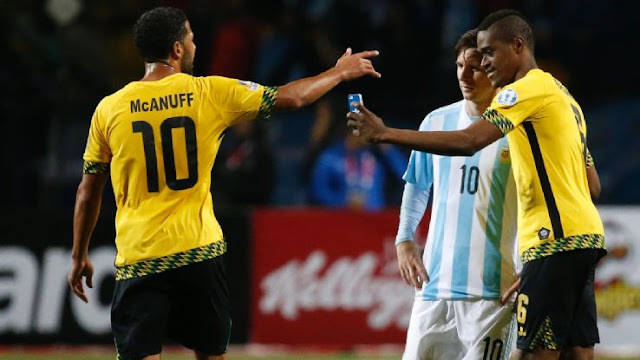 After Argentina finished off Jamaica 1-0 to top their group, a bemused Lionel Messi who won his 100th cap on the night was asked by opposition forward DeShorn Brown to pose for a selfie. While some of us shook our head at the latest example of annoying trends seeping into modern football, the Argentine's were likely already looking ahead to a decidedly difficult knockout phase. Despite winning their respective group, Argentina will first come up against a Colombia side in the Quarter-Finals, who were made it to the last eight in last summer's World Cup. Should Argentina make it past Colombia, they will then likely come up against Brazil who face Paraguay in their Quarter Final. 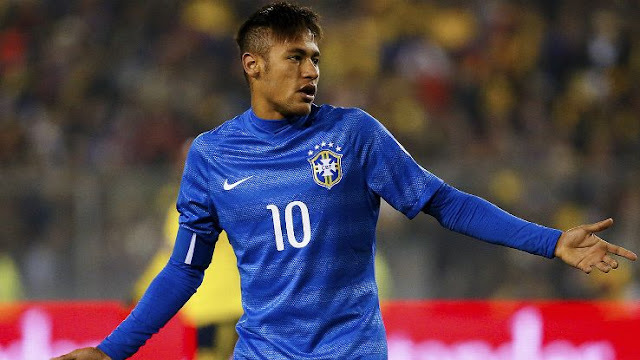 Brazil though have been rocked by the loss of Neymar, who was red carded after his country's group stage loss to Colombia and then showered the referee with abuse. Getting into the stretched hypothetical stage now, if Argentina gets past Brazil they would almost certainly face one of the two strongest sides on the other side of the bracket in Chile or Uruguay. Breaking it down like this, and after watching an action packed group stage, it's apparent how strong this tournament is despite it not getting the coverage or fan fate of the European Championships. The knockout rounds are certainly shaping up to be very interesting indeed and if you're Argentina there doesn't appear to be an easy route to the final.